Please see below the statements from two exceptional young people (who just happen to be Past Pupils) regarding Project Zambia. Here is a summary of the work Project Zambia does which you can include in your newsletter or letter to parents. 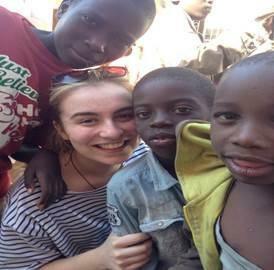 Project Zambia is an overseas volunteering programme initiated by St Mary's Christian Brothers Grammar School in 2002. Our school, St Dominic's Grammar, joined in partnership with St. Mary's within the first few years of the project's establishment. We have chosen this charity as we are aware of the conditions and challenges these people face every day and how it's significantly different from our own. Noting that Zambia is a third world country situated in Southern Africa, it is extremely difficult to even begin to compare our standards of living to theirs. We want to make more people aware of these poor living conditions in order to get more support from our communities to help in any way they can. Through the project, we are helping to build and maintain strong relationships between the Zambian community and our own. We have empowered the people of Zambia, and intend to continue doing so, not only by investing in their communities but also in their people. The team travelling out this summer aim to continue transforming the lives of these people and further strengthen the bond between our communities. A strong ethos has been created in support of Project Zambia within not only our school and St. Mary's, but throughout the West Belfast community and we aim to expand on this ongoing work. Thank you for meeting with me in regards to fundraising for Project Zambia, and agreeing to help me. I have been selected to be a part of a team of 12 students and 4 staff from St.Mary's CBGS to go out and help the most vulnerable people in Zambia, and most notably its own capital city, Lusaka. Ever since I have been a part of St. Mary's, Project Zambia has been the most notable organization that our school sponsors. Project Zambia was initiated by St. Mary's CBGS in 2002, founded by Dr. Aidan Donaldson and past-principal Kevin Burke. 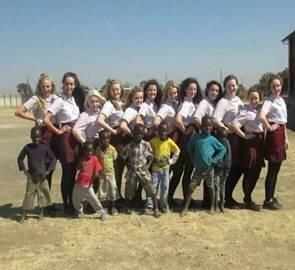 It was a response by a school in Belfast to the cry of the poverty-stricken people of the compounds of Lusaka, Zambia. Since then the project has grown, spreading to communities throughout Belfast. Project Zambia is today undertaken in association with the Congregation of Christian Brothers, and a recently created NGO, Edmund Rice International. The organization has many goals, and strives to carry out as much as possible. Working in partnership with the people in Zambia the Project seeks to help, support and empower the host communities to develop solutions to their problems and difficulties. The Project also seeks to raise awareness of the conditions and causes that offend the human dignity of so many people throughout the world and to forge close bonds of solidarity between communities in Ireland and communities in Zambia. Intended to link and unite people in Ireland and Zambia, it is hoped that it will help to transform lives and communities in both the rich western world and sub-Saharan Africa. I am a past pupil of St. Oliver Plunkett Primary School. I have just completed my GCSE's and I'm currently studying for my A-Levels. When I saw that there was an opportunity to be a part of this project I couldn't refuse. My main goal now is to raise the money to allow me to take part. The minimum for the trip is 1,500 pounds; however, each student taking part is expected to raise at least 2,000, with 30,000 pounds hopefully being raised by the group as a whole. i know as a past pupil how generous the families of St. Oliver Plunkett Primary School can be. I have many fundraising ideas in which I can carry out within the school. I will provide Easter Eggs and other prizes for ballots, with bun sales and jumble sales also being possibilities. A non-uniform day is also another good fundraising technique. I am greatly looking forward to working closely with the school in the coming months. Although it will be challenging, it will indeed be a fun adventure at the same time!